Went on a one day one night tour of St. Louis this past weekend. It was a long drive but a friend of mine actually did the driving. It’s an interesting story so I’ll share it with you. I feel like sharing. Jamie Palsgrove used to be a coworker friend of mine at TeamDesign. He moved on to another job but we have kept in touch and still hang out. 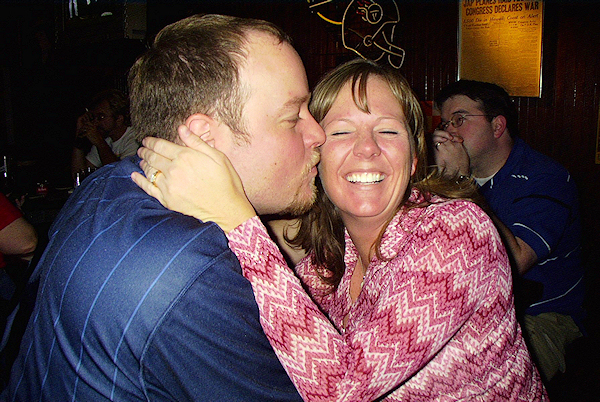 We were tossing the idea around before he left of doing a quick weekend trip to someplace close by with out kids since neither one of us could really afford a full blown vacation this year. He and his lovely wife, Jennifer, really ended up doing all the work organizing the thing. Enough so that I felt terribly guilty by the time it was all over. The destination we decided on ended up being St. Louis, to visit the free zoo and the arch monument. He offered to drive and use his Ford Explorer to take us there. We originally planned on making the 5.5 hour drive visiting the zoo and possibly the arch then driving home, knowing full well it would be a long long day for all. I really just can’t afford a hotel room this year. Now, you have to know Jamie and Jennifer. They will give ya the shirts off their backs even if that means they will be without a shirt, that’s just how they are. Jamie and Jennifer both travel a lot for their jobs and they offered to use their travel points to get a couple of hotel rooms for us so we could stay the night. We got up super early on Saturday and met the Palsgroves at their house and off we went. It was a long drive but the company and conversation were always lively. We visited the zoo in the 100 degree heat. It was an enormous zoo. We got our hotel rooms which were SUPER nice and we went swimming in the hotels pool. It was really the perfect end to a really nice day. We topped that off with a great Italian restaurant that had magnificent pasta called Portabella and then a great nights sleep. Now, if the mini-vacation had ended there it would have been a super nice vacation, but here once again you have to know these guys and how sweet they are. 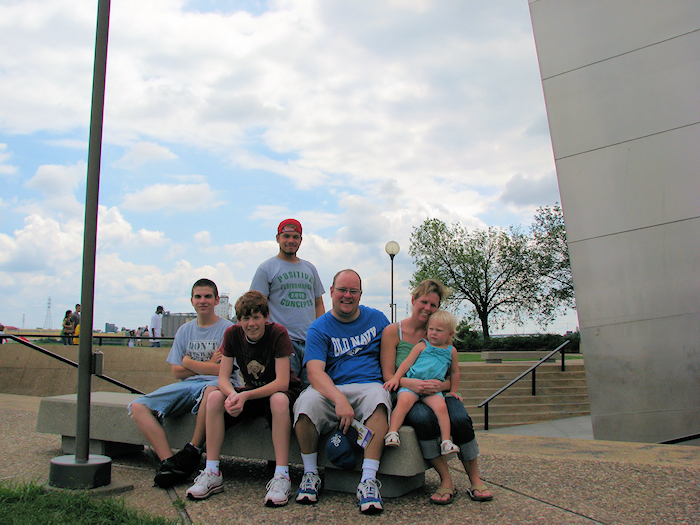 We got up the next morning and enjoyed breakfast then shuttled off to the Arch Monument. We had a great walk through the city to the Arch Park by the river and spent a long time snapping photos and enjoying the very cool monument. When we tried to visit the museum under the arch i figured out that being a federally run institution with metal detectors and x-ray machines that you can’t bring a spring assisted knife into the place. It’s kinda funny. The boys went in and I just stayed outside snapping more pictures while they enjoyed. On the drive home we made a stop in Woodlawn Illinois for gas where I had to explain to the boys that rednecks live everywhere not just Tennessee. It was a tremendous chance to see sights I don’t think I would have otherwise seen. It was great company and time well spent with my great friends and their family. I want this post to be a personal thank you to both Jamie and Jenn because without their generosity the boys and I would not have had a vacation at all this summer. Get to the Arch it is a fantastic building that you have to see.